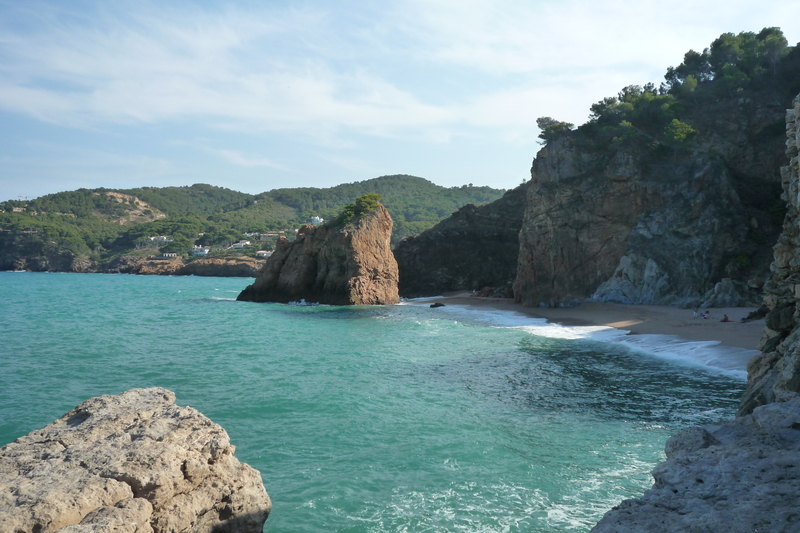 The rugged coast of the Costa Brava offers a fantastic choice of beaches and small coves to explore and discover. Some of them are better known than others, hidden gems waiting to be discovered. Whether you are staying close to the Medieval village of Begur or the chic coastal resort of Llafranc, you have a vast selection of beaches that are reachable within minutes. With so many beaches and coves to explore, you should not limit yourself to just one beach but try to find the time to visit the many others. 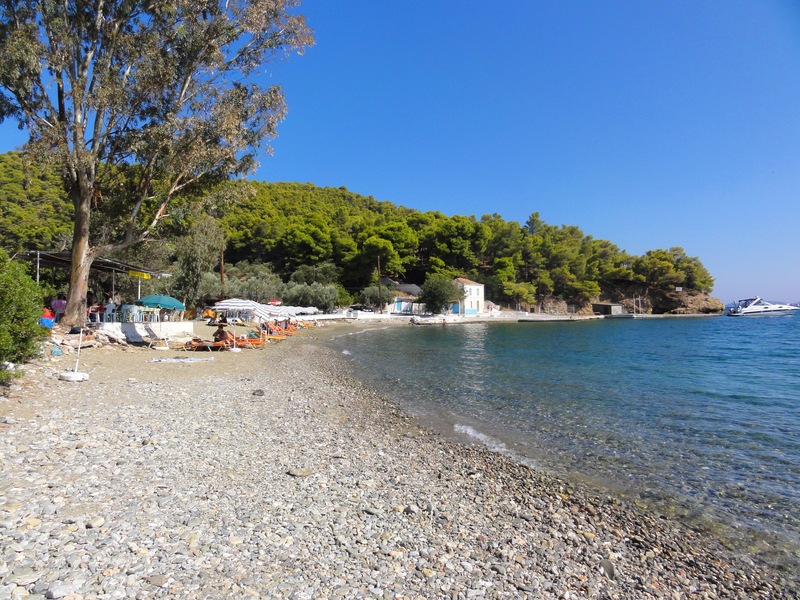 On this page you will find brief details of a selection of the main beaches in the local area with some smaller bays and coves for you to discover. All of the Costa Brava beaches mentioned in the list below are within (up to) 15 minutes drive from one another and some just a short stroll apart. 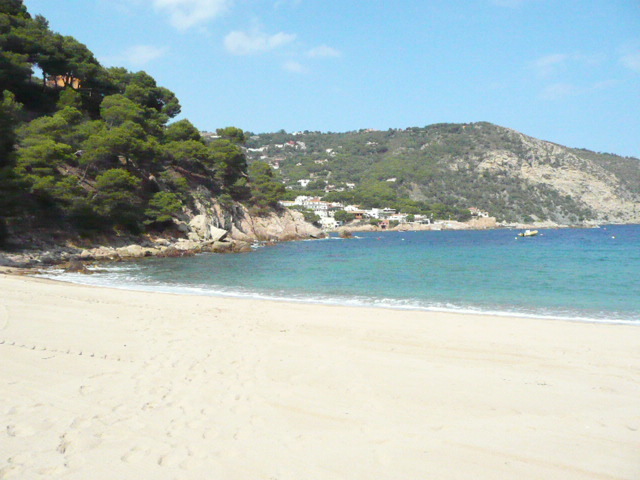 Platja del Racó: El Racó is between Pals Beach and Illa Roja bay. The beach is approximately 300m long and 65m wide. 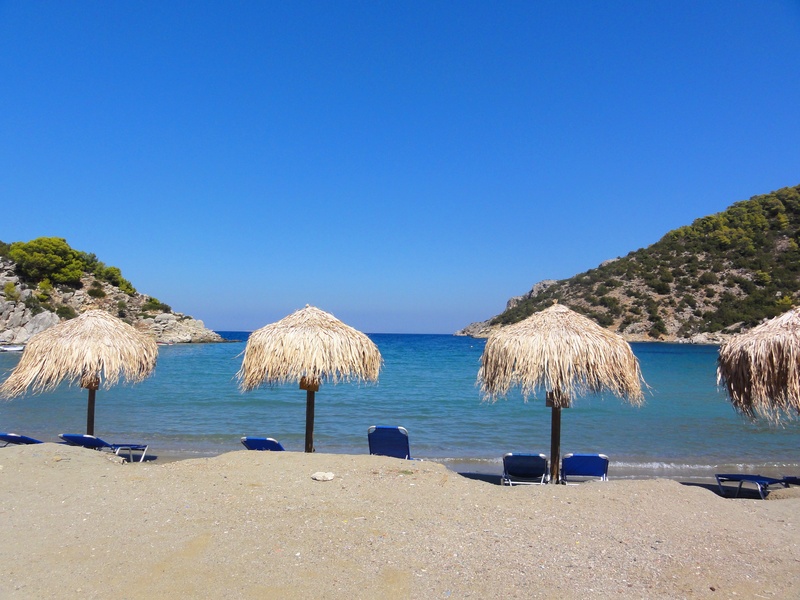 This is a calm and quiet beach ideal for relaxing sunbathing. Cala d`Illa Roja: Illa Roja is a small cove situated between Sa Riera and El Racó. The beach is approximately 80m long and 30m wide. The small cove is an internationally renowned nudist beach with fine sand and beautiful transparent waters. The beach takes its name from the large red colour rock that overlooks the cove. 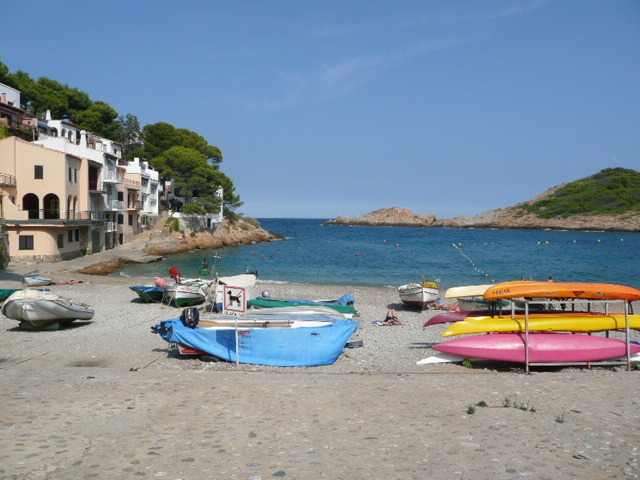 The beach is an uncrowded spot which can only be reached on foor along the coastal path that runs from Sa Riera to El Racó. There are no services on the beach. Platja de Sa Riera: Sa Riera is the largest of the Begur beaches and is the closest beach to the centre of Begur and easy to access. There is a coastal path from the Rei bay that links Sa Riera to other nearby beaches of Illa Roja and Pals. The beach and surrounds offers a good choice of bars and restaurants and beach shops and a nearby supermarket. 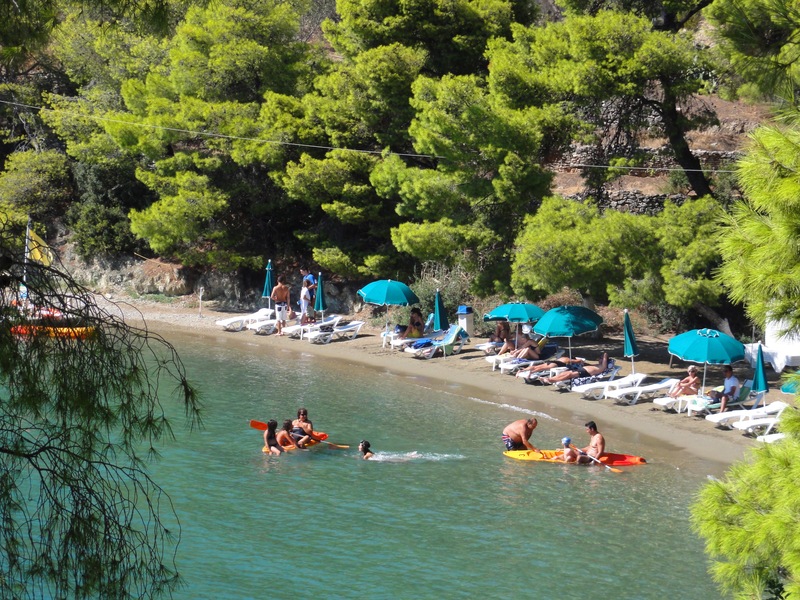 The beach was awarded awarded the blue flag every year since 1995 and is well equipped with a boat club. 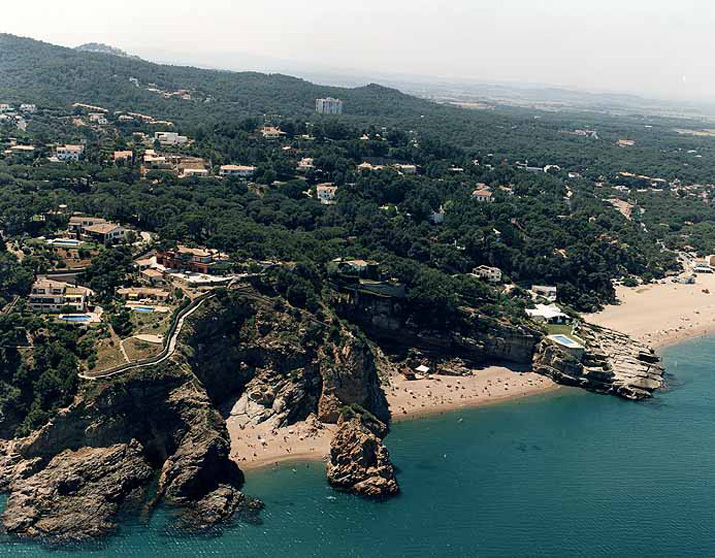 There is parking at Sa Riera beach which is payable during the summer months. Cala d`Aiguafreda: Aiguafreda bay is a rocky beach that can be reached directly on foot along a coastal path that leads from Cap Sa Sal to Sa Tuna or the bay can be reached by car. The bay is surrounded by rocks which shelter it from the wind allowing boats to shelter there and offering peaceful and relaxing location for its visitors. The bay is very popular with divers and there is a diving school. Platja de Sa Tuna: The small bay of Sa Tuna is naturally sheltered by Punta d`Es Plom and Cap Sa Sal which means that boats are able to anchor here. Sa Tuna is an old fishermans village and a real favourite of the Catalans, never too crowded but always lively enough, and with an atmosphere that easily makes you understand the history of the place. Many of the people who live here have been in the bay for generations, calmly uninterrupted by the visitors. There is a good selection of restaurants and a small shop where you can purchase essentials. 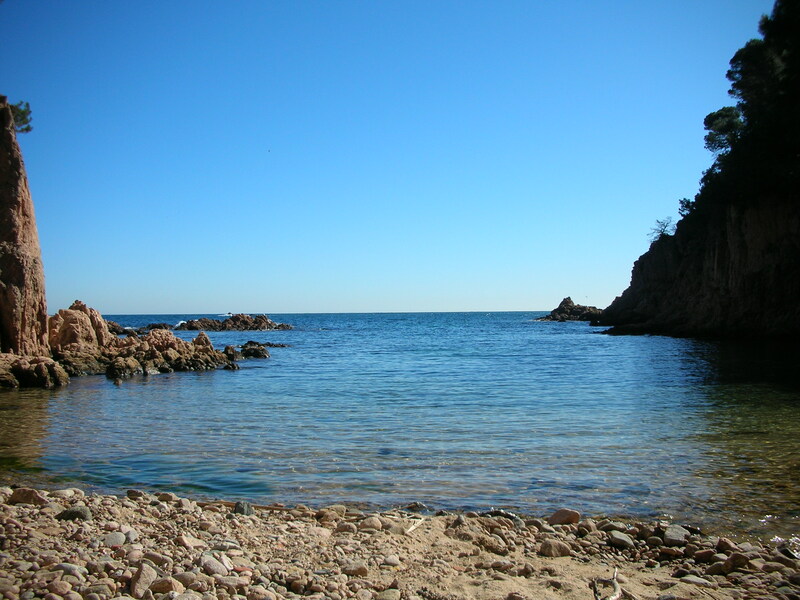 Platja Fonda: Platja Fonda can be reached via the coastal footpath from Fornells. The beach is approximately 130m long and has coarse, dark sand and is quite low down in comparison to the path meaning that it can be reached by a long set of steps. The beach remains unspoilt and wild thanks to its access. Platja de Fornells: Fornells is well known for its small harbour and can be easily reached from Begur by road and also by the coastal path that runs between Aiguablava and Fornells. Fornells enjoys favourable weather conditions making it a pleasant holiday location. The original beauty and charm of Fornells has not been lost despite it becoming more residencial. Fornells is also a great place for fishing. 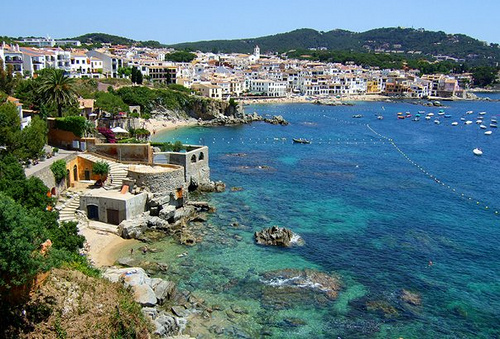 At each side of Fornells are two small coves of `Ses Orats` and `Can Malaret`. 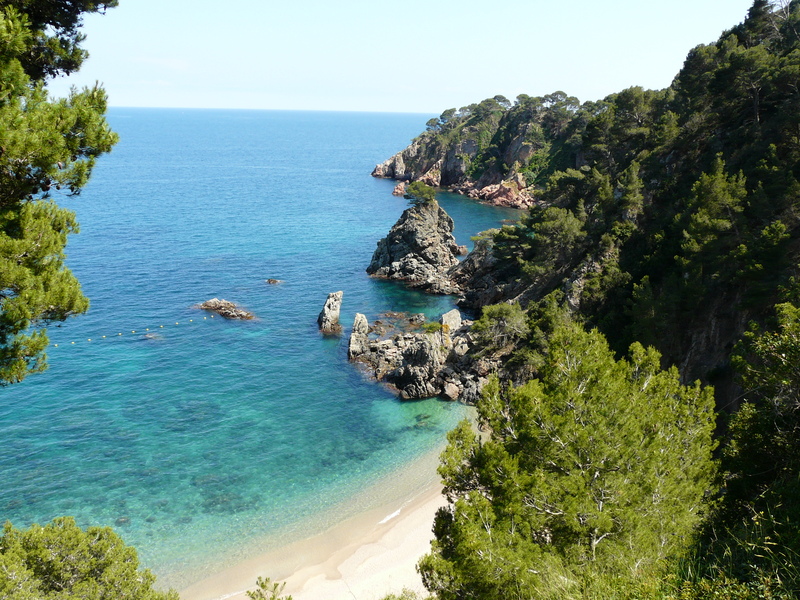 Platja d`Aiguablava: Aiguablava is for many people the Costa Brava`s most perfect spot, where the cliffs reach down into a turquoise bay backed by a beach of gently shelving sand. The beach offers fine light-coloured sand and beautiful shallow waters – a perfect setting for any holiday maker. 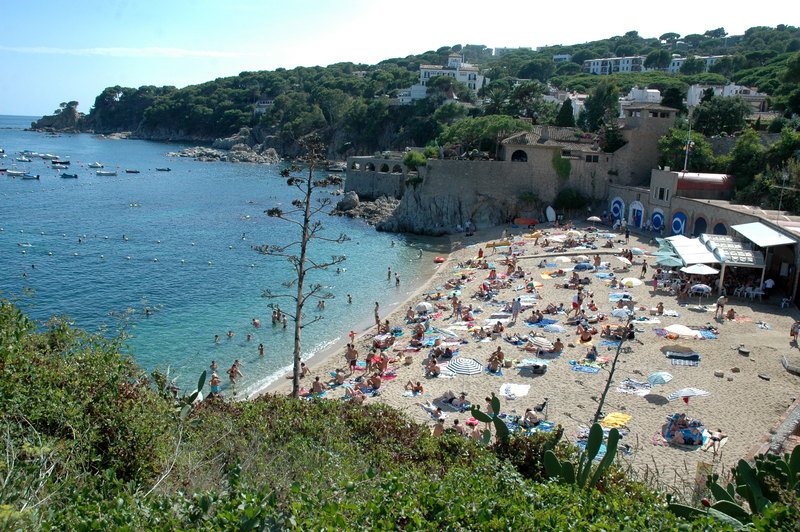 The beach of Aiguablava is easily reached by road with good parking facilities. 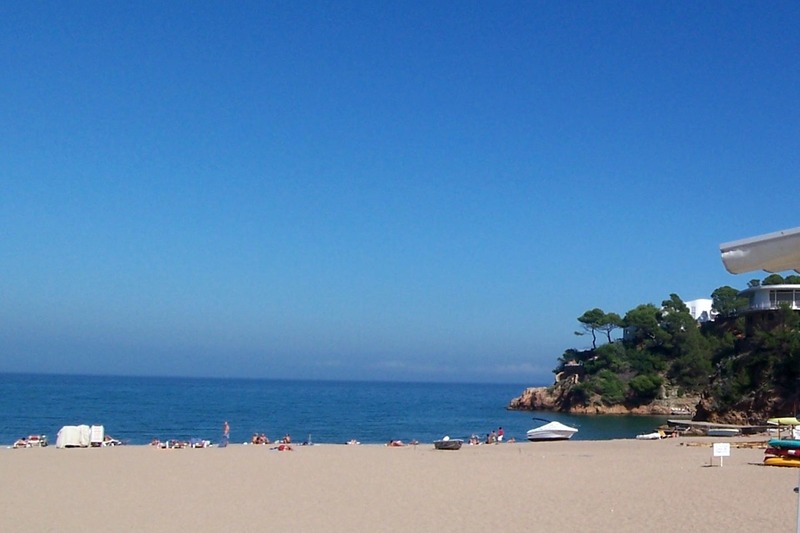 The beach is one of the most popular beaches not only in Begur, but the whole of Catalonia. Over the years many artists and writers have depicted this wonderful location in their works. Platja d`Aigua Gelida: Aigua Gelida or Aigua Xelida as the Catalans know it, is a beautiful small rocky cove located at approximately 1.5km from Tamariu. There are no services at the bay which means that it is generally secluded and a very calm and peaceful place to soak up the sun. There is a wonderful coastal path in Aigua Gelida with stunning scenery and views. 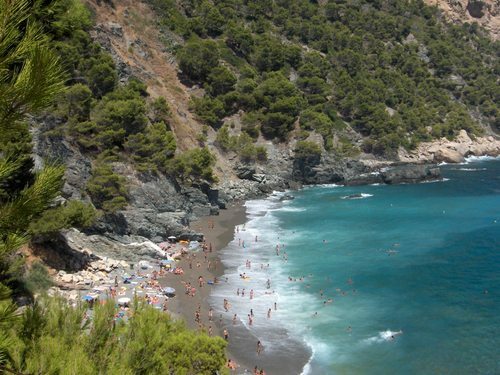 Platja de Tamariu: Tamariu is a beautiful sandy bay that is very popular with families due to the fact that it is clean and safe and has been awarded blue flag status. 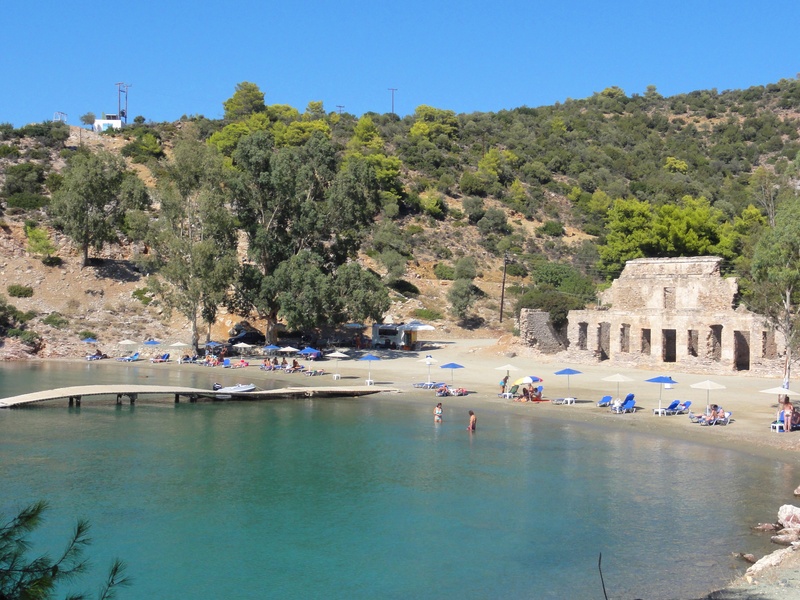 Tamariu was originally a fishing village and the small bay has retained much of its original charm and beauty. The beach benefits from a great choice of restaurants and bars where you can spend a peaceful lunch in the sunshine. 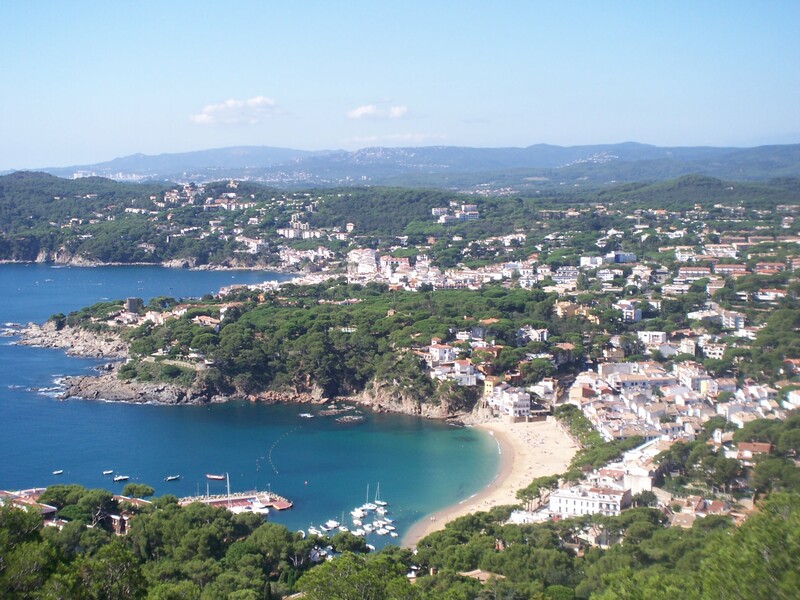 Platja de Llafranc: The chic coastal village of Llafranc is a popular destination with its picturesque crescent-shaped bay and fine sandy beach. 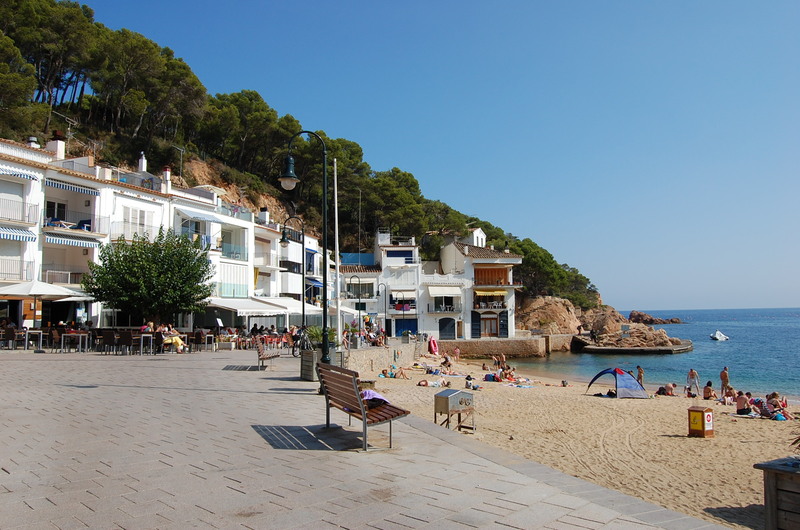 The beach at Llafranc offers safe swimming, clear water, fine golden sand and a beachside promenade lined with restaurants and bars. To the north of the bay there is a marina where boats and yachts are often moored over the summer months. 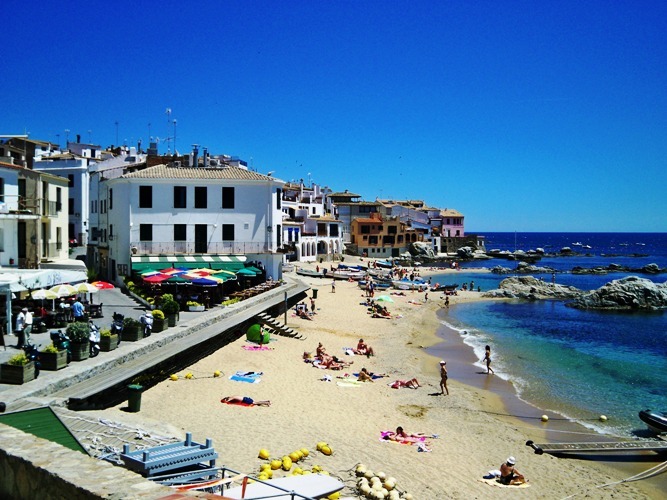 Platja del Canadell: Canadell is the longest of Calella de Palafrugell`s beaches – approximately 200m long. The blue flag beach is a popular choice and has a couple of bars and restaurant such as Tragamar restaurant where you can enjoy fresh fish right by the beach! 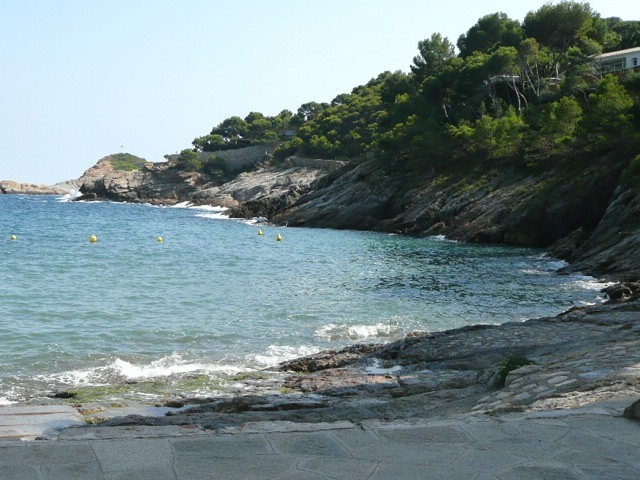 Canadell is the first beach you will come to if you take the coastal path from Llafranc. Platja Port de la Malaespina: Malaespina beach is the first beach that you come to if you walk around the coast from Canadell beach. 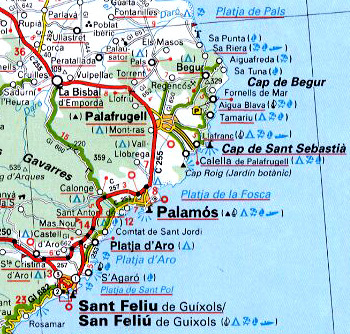 The beach is the first of the 3 in this stretch (Malaespina, Port Bo & En Calau). 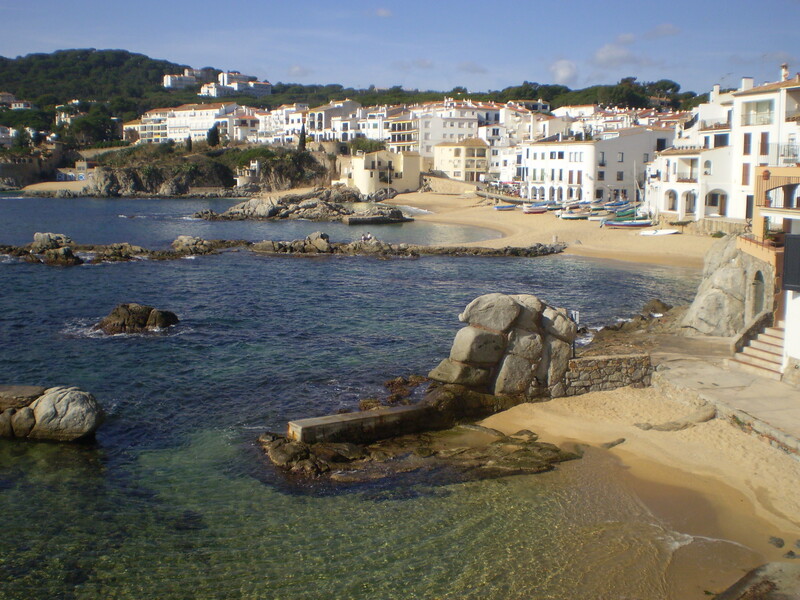 Platja del Port Bo: Port Bo beach is perhaps best known by the arches that line the back of the beach. These arches, also known as `Les Voltes` were used in the past by fishermen to shelter from the rain. Port Bo Beach is between Malaespina and En Calau beach and has a great selection of restaurants nearby and is dotted with fishing boats. The very popular Habaneras concert which takes place every July and usually draws a crowd of about 30,000. 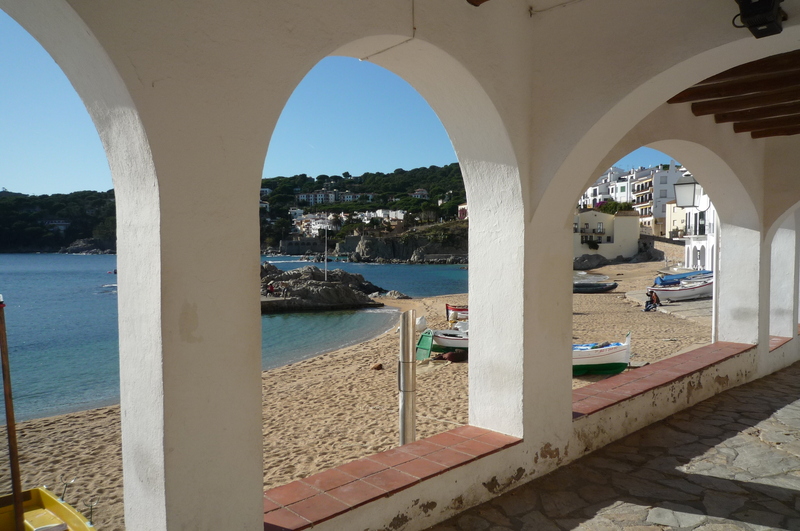 Platja de En Calau/Sa Platgeta: En Calau beach is situated next to Port Bo and is also flanked by the arches under which you will find some restaurants. The beach is a popular choice during the summer as there are several nearby restaurants to try and small shops to peruse. Sa Platgeta is one of the smallest beaches in the area located close to En Calau beach. Platja del Port Pelegrí: Port Pelegri is a lovely sandy cove that is also well known for its diving school situated on the beach. The beach can get quite busy during the summer months. Also on the beach is a restaurant. 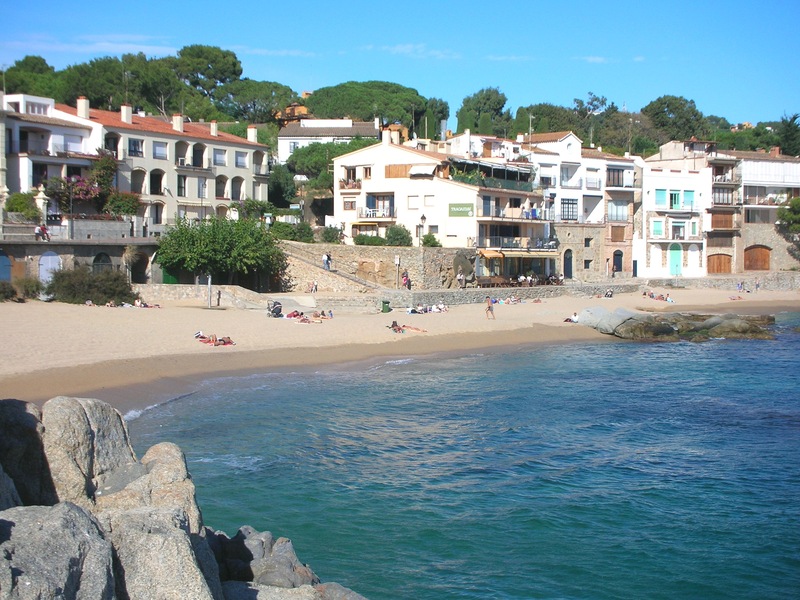 Platja del Golfet: El Golfet beach is approximately 1.5km from the centre of Calella de Palafrugell and is a beautiful & picturesque setting, surrounded by the natural beauty of pine trees and rocky cliffs. The beach is the source of inspiration for many poets and painters. The water here is clear, making it perfect for swimming. 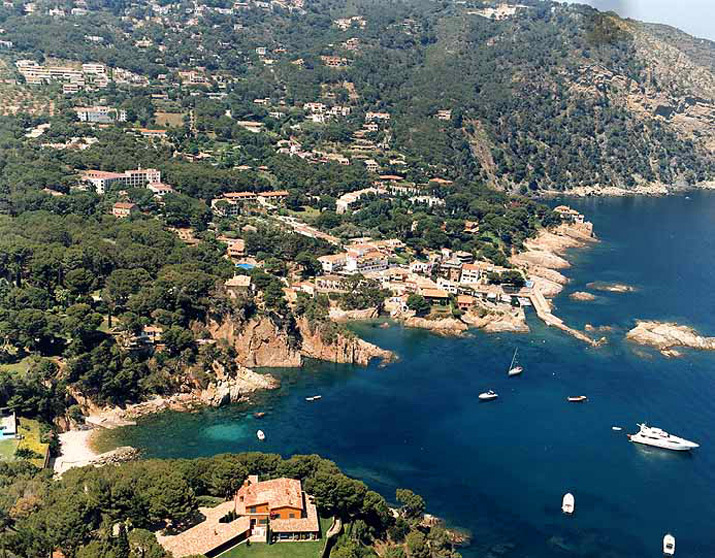 The well known botanical gardens of Cap Roig can be found above the beach of El Golfet. The beach has no restaurants or shops, but makes a relaxing and peaceful spot to bathe. Holidays in Tuscany tend to be associated with beautiful countryside and historic cities; although this is what you will find in Tuscany, there are also many beaches and beautiful coastlines waiting to be discovered. Listed below you will find a selection of beaches along the coastline close to Tuscany that are easily reached from most of the locations of the rental villas on our website such as Siena, Arezzo, Pisa, Florence, Lucca and Chianti. 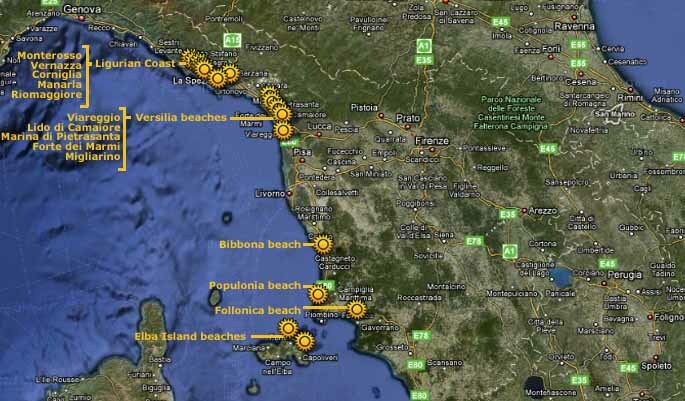 Just 30 km from Lucca, 80 km from Pisa and 100 km from Florence, Versilia has the most popular beaches of Tuscany. Well known for its beautiful sandy beaches and the views of the Apuan Alps, it has been the homeland and meeting point of great artists since the beginning of 1900. 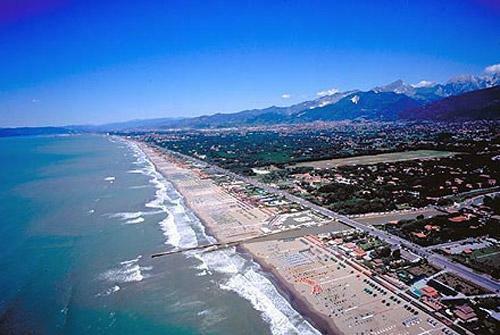 Viareggio Beach: Viareggio is the main city of this part of Tuscany called Versilia. Viareggio beach is well known for its long promenade called "la passeggiata" with trendy boutiques, fashionable shops, gelaterie (ice-cream parlours), cinemas, pizzerias, art galleries, discos, stylish patisseries, bars, elegant cafes and restaurants. The beach is sandy and white and 10km long. The beach has beach clubs and private bathing areas that charge a fee to get in and provide umbrellas, sun beds, showers and cloakrooms. Despite the many beach clubs, you are entitled to walk along the shoreline and bath anywhere you want without been charged. 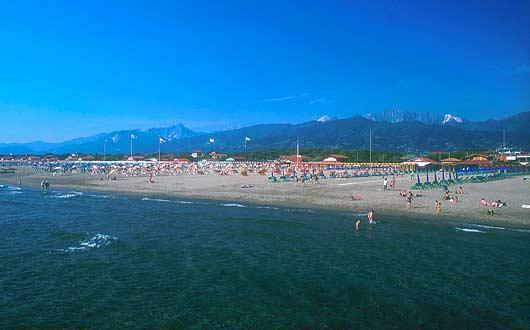 Lido di Camaiore: This beach is situated between Viareggio, Marina di Pietrasanta and the medieval centre of Camaiore. It is a very comfortable beach that provides modern and functional services. The long promenade offers bars, pubs, restaurants, hotels, flowerbeds and palms. In the summer you will find is also a big Luna Park. There is a free car parking in the road parallel to the promenade. 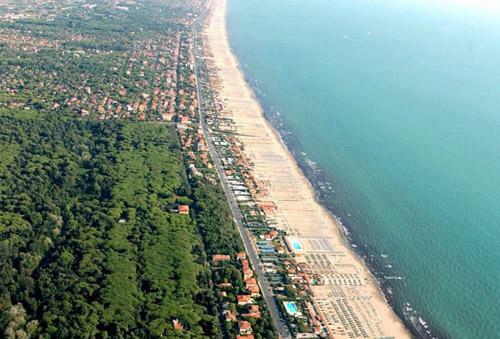 Marina di Pietrasanta: This is the widest beach of Versilia, it reaches 200m in some parts and for this reason it never get overcrowded, even in peak season. It has fine, white sand and is 5 km long. There are many beach clubs with bars, restaurants and swimming pools and it can be easily reached by car. The Pietrasanta historical centre is 3 km from the coast and is a small medieval town surrounded by the sea and the Apuane Alps. These mountains are rich of marble and are from where the marble for all the monuments of the Roman Empire and Renaissance came from. Nowadays artists and sculptors from all over the world travel to Pietrasanta to follow Michelangelo`s footsteps. 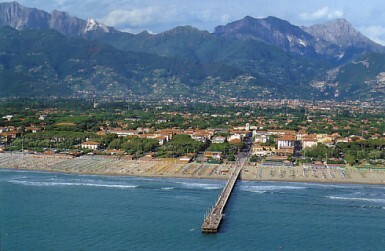 Forte dei Marmi: Literally means the "marble fort", Forte Dei Marmi was one of the first beach resorts in Italy becoming popular with European nobles, diplomats and artists at the beginning of 19th century. The beach is sandy and white with lots bathing establishments. Italian VIPs still like to spend their holidays in the villas in the pinewoods of Forte dei Marmi, such as Flavio Briatore, who has got his own club "The Millionaire". Migliarino: This beach is part of the Natural Park that covers an area of about 24,000 hectares in the provinces of Pisa and Lucca. From the north to the south, the Park consists of coastal forests with an area of about 40 km, with a sandy seashore and large inland marshes including Massaciuccoli Lake. The landscape is often characterised by the presence of maritime pines and oaks, a variety of fauna such as deer, roe deer, wild boar, hares, wild rabbits, martens and foxes. There are several paths for walkers and cyclists. This part of the Tyrrenian coast is really worth a visit. The Gulf of Poets and Cinque Terre have picturesque fisherman villages, blue waters and amazing views of the sea and mountains. These beaches can be easily reached by motorway or rail and are not far away from Lucca (80 km), Pisa (84 km) and Florence (150 km). Lerici: This village sits on the Gulf of Poets, an area in the Gulf of La Spezia once popular with writers such as Byron and Shelley. 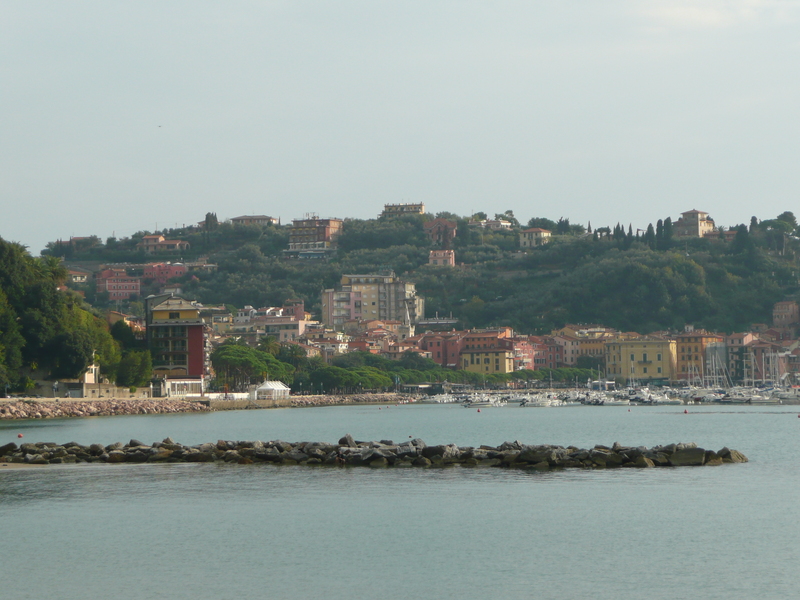 Lerici is a picturesque resort with white and fine sand. The coastline is jagged and flourished with pines oaks and olives trees. Lerici beach is free to bathe and you can find all the services you may need. It is also possible to take a boat across the gulf to Portovenere and the five villages of the Cinque Terre. Portovenere: In the blue and deep water of Portovenere, the poet Byron used to swim, crossing the gulf from Portovenere to Lerici. The beach is small but lovely and sandy and you can find all amenities. 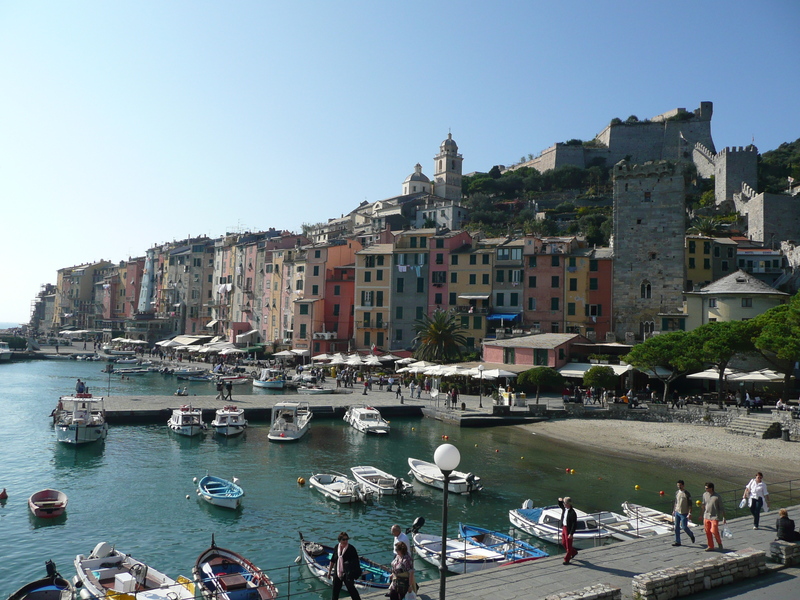 Portovenere offers daytrippers a variety of things to see. 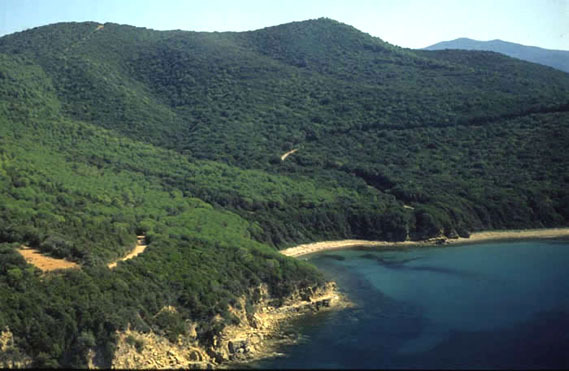 There are also many hiking trails on Palmaria Island, a Natural Park, and a small boat will take you there from Portovenere within minutes. In the summer, Portovenere is served by boats from the Cinque Terre, La Spezia, and Lerici. 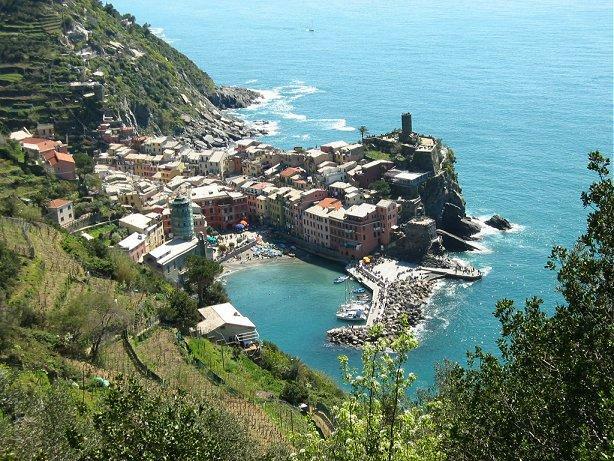 Cinque Terre: These five old fishermen villages are surrounded deep blue sea and high cliffs. They are part of a National Natural Park and a Unesco World Heritage Site. Each village is different and the best way to enjoy them is to hike the many trails that join them or take a boat trip. Monterosso has the biggest beach with pebbles and some private beach clubs. Riomaggiore and Manarola do not have beaches but are the best places for swimming off the rocks and snorkelling. There is no beach at Vernazza but people usually sunbathe on the rocks near the small harbour and church. Corniglia has a more secluded beach but it is not very appealing. These villages can be very busy in summer and the parking just outside Riomaggiore and Monterosso is always full. There is a good connection for buses, trains and ferries between the Cinque Terre and La Spezia. 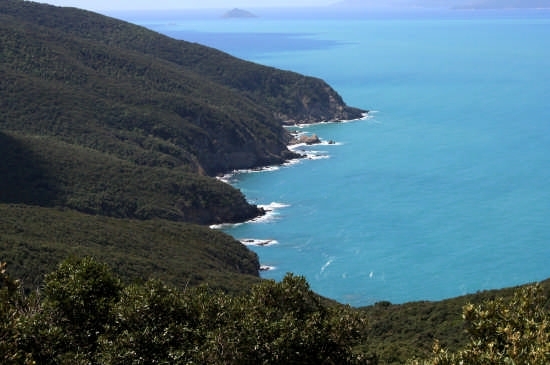 This coast is particularly well known as mild and quiet and is very popular with people from Siena and Arezzo who usually spend the weekend there; in fact it is just 100km from Siena and Arezzo. A visit to the beach and Etruscan ruins along this coast makes an ideal daytrip. 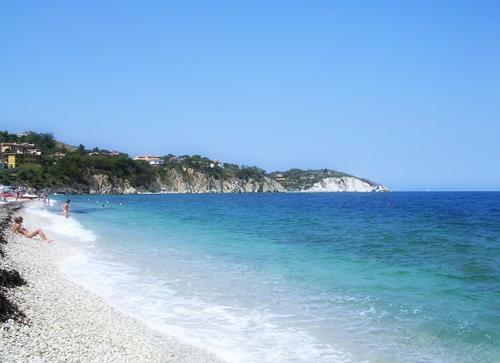 Bibbona: This seaside resort is situated in the heart of the Etruscan Coast. The coastline is surrounded by secular pinewoods and sand dunes and the beach is long, flat and peaceful, ideal for families with children. There are restaurants and bars and it is easily reached by car. Along the beach you can admire the Fort, built by the French in the 18th century. Populonia: The bay of Baratti is a little cove below the cape of Populonia. The bay has a long, flat sandy beach with very calm water. It has got many tiny inlets and it is a good place to rent a boat and exploring or diving. Populonia today is a pretty medieval village enclosed within a 15 century fortress and sitting at the highest point of the peninsular with views all over the bay. 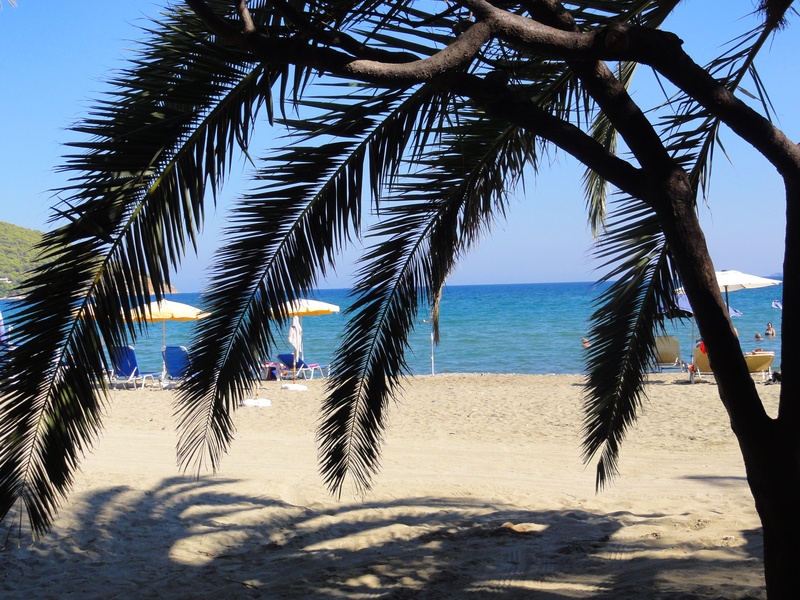 Follonica: This is a very family oriented place, the beach is flat and caters to tourism. This is a popular destination where people from Siena like to spend their weekend. 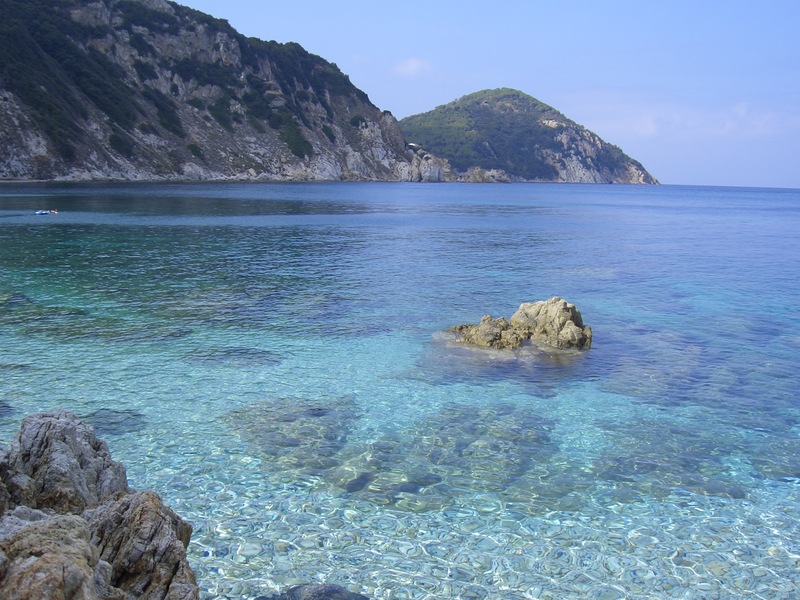 Isola d`Elba: Beautiful coastline, good for diving, hiking in the mountains and much more. 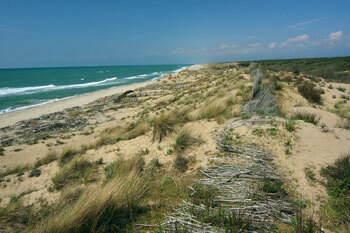 This is the third largest Italian island after Sicily and Sardinia and is part of a National Park. There are numerous sandy beaches and calm inlets, others with pebbles and deep blue water. The island can be easily reached by car and ferry. From Siena it is 130km to Piombino and then 50 minutes on the ferry. 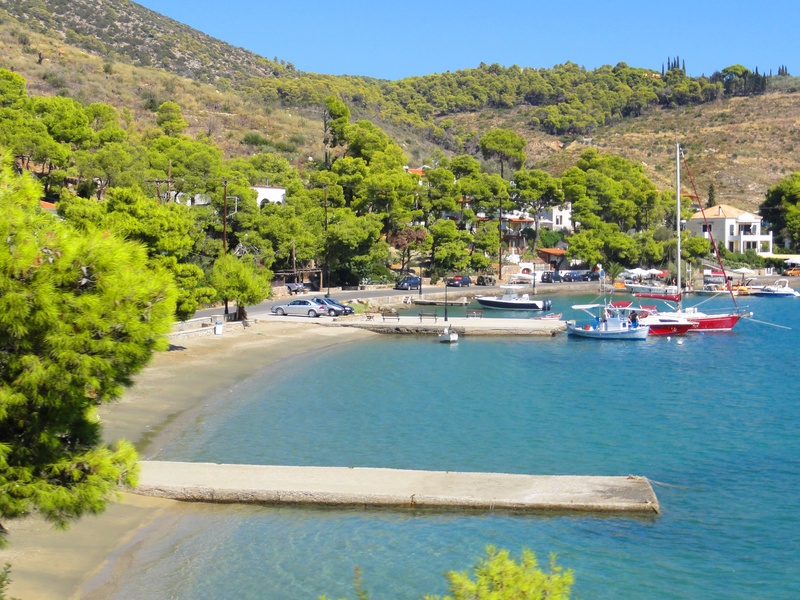 The beautiful island of Poros offers a wonderful selection of beaches and bays to uncover during your holidays to Poros. 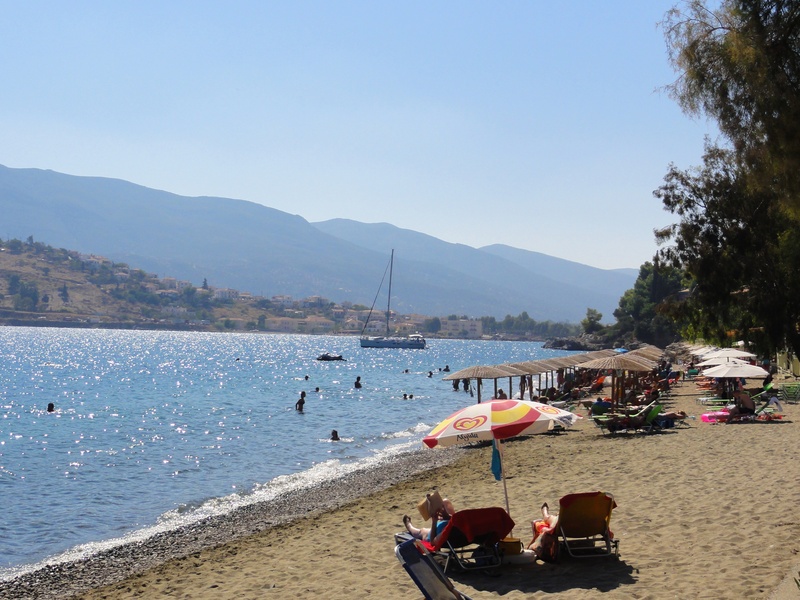 Most of the beaches and bays on Poros are within easy reach of our rental villas and apartments by bus, taxi or even water taxi. 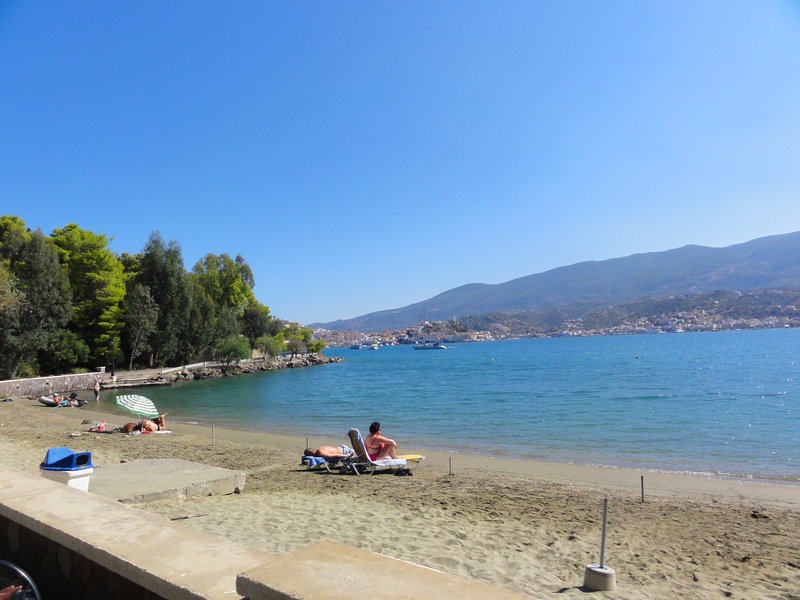 All of the Poros beaches have beachside tavernas or small snack shops on them so you can easily while away the day on the beach.